A leading anti-fraud expert says five to ten per cent of all revenue may be lost to internal waste and abuse. 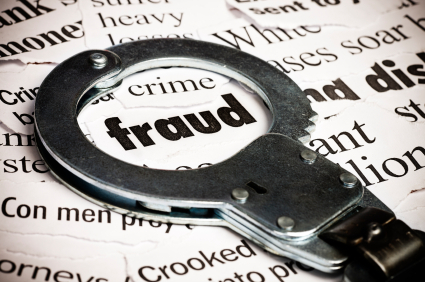 Employers and HR professionals are underestimating the risk of fraud on their organizations – that’s the warning from one industry expert who says a significant percentage of profits can easily be lost. “Most companies have some idea that fraud is a potential but most don’t realize how severe it can be,” says Dan Zitting, a former auditor with Ernst and Young. According to Zitting – who is now chief product officer with Vancouver-based ACL – traditional anti-fraud measures are an important line of defence but still don’t guarantee organizational safety. “Setting the tone from the top – whether it’s your code of conduct or certain policies – is a good first deterrent and putting thorough financial controls in place is another,” says Zitting. From separating responsibilities in at-risk areas to restricting access to accounting systems, there are plenty of measures which can help prevent fraud – but they’re by no means bulletproof, says Zitting. According to Zitting, data analytics is the most effective means for both detecting and preventing fraud because even subtle evidence can be uncovered in data. Importantly, Zitting says data analytics can help organizations track not only fraud but waste and abuse too. Regardless of whether it’s waste, abuse or fraud, Zitting says all three represent lost money and even the least egregious of activities can turn into something more serious. “In a lot of cases, what starts out as low-dollar abuse and not a big concern evolves into fraud over time – that’s what happens when organizations don’t monitor,” he says.